We are pleased by the positive feedback we have received. We are also interested in improving our service and products. This includes understanding what is not working so we can fix it. Please do not hesitate to e-mail or call me directly (direct dial: 612-801-1007) with issues or suggestions. 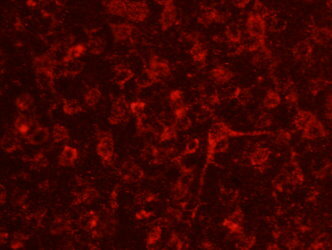 Combined Hippocampus, Cortex, and Ventricular Neurons: "I got 10 million cells total after extraction from the tissue. At Day 4 they all developed long axons. Thank you so much for the replacement." Dr. Lidia Gardner, University of Tennessee HSC. "Thank you! We love your antibodies, they work really well! "Carmen Sato-Bigbee, Ph.D., Associate Professor, Department of Biochemistry and Molecular Biology and Neuroscience Graduate Program, Medical College of Virginia. "We are very happy with the Strep-Tag system. I recently presented my protein purification data, as well as a cost comparison between a typical flag resin purification (our usual purification tag of choice) and the StrepII tag purification and everyone was impressed."